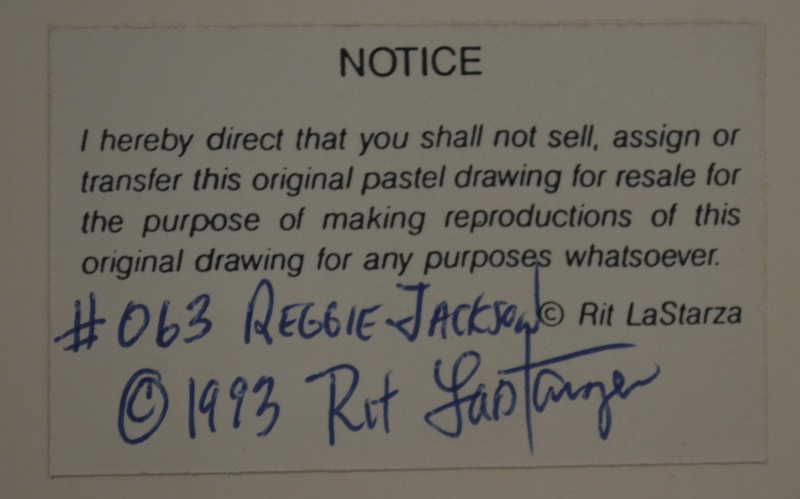 This lot features an attractive matted and framed original drawing of Reggie Jackson. The matting in comprised of New York Yankee pinstripes. 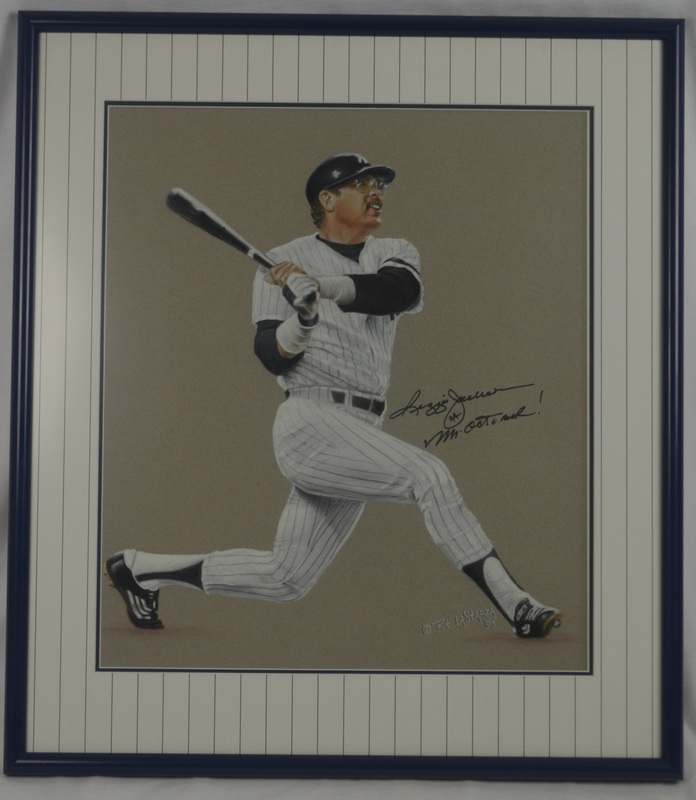 One-of-a-Kind portrait created in 1993 by Rit LaStarza, this 20" x 24" original pastel does an excellent job of capturing "Mr. October" in the midst of one of clutch home runs. Signed "Reggie Jackson, Mr. October, " in black marker. Framed sized is 26x30 inches.